Powered by the advanced AS chipset, LUCID is a compact and powerful starter kit that is capable of firing up to 80W with a single 18650 battery. 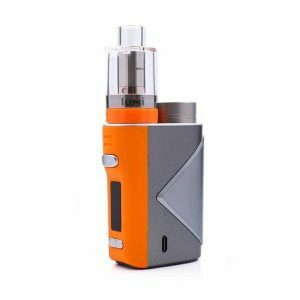 The kit is equipped with the innovative pre-coiled disposable mesh Lumi Tank, which is powered with the Supermesh coil system to produce outstanding flavor and vapor production. The Lumi comes with a easy top fill system and once the coil burns out, there is no need to replace it, just dispose of the whole unit. The Lucid kit is a fantastic starting point for new vapers or a great portable no fuss back up for experienced users.